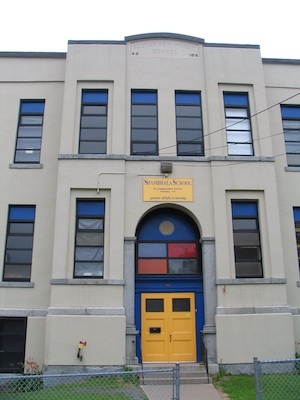 History: The history of the North End is generally defined as before or after the “Halifax Explosion”. On December 6, 1917 two ships collided in Halifax Harbour creating the largest man-made explosion of the First World War. The explosion leveled most of the North End. A commission was set up to rebuild the homes. The selection of concrete for the exterior material gave one neighbourhood a new name – the Hydrostone Area. The Hydrostone townhomes were built with the invaluable help of the people of Boston. To this day, the province of Nova Scotia sends a very large Christmas tree to the people of Boston every year in appreciation of their help. Parks and Recreation: The neighbourhood has three large parkland features: Needham Park, Sullivan Park and Sea view Park. The first offers unparallel views, the second great sliding and other recreational activities and the third is a designated off-leash park for dog walking. Public Facilities: The largest public facility within the neighbourhood is the Nova Scotia Community College – Institute of Technology. Schools: St. Joseph’s-Alexander McKay Elementary, Oxford Junior High, Citadel High. Find out which schools your children will attend based on the address where they are living with this webpage. 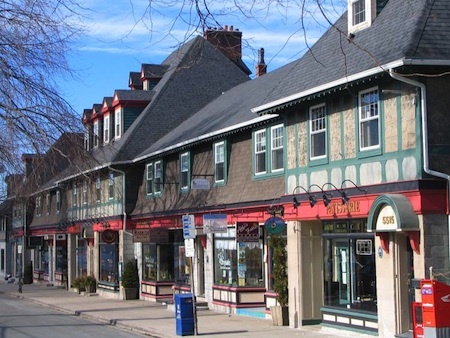 Shopping: When the Hydrostone area was reconstructed, a row of English-style shops was built along Young Street. Today this block of shops is known as the Hydrostone Market. This row of shops, decorated in old English styles, offers everything from a garden shop to a French bakery, to gourmet dining and much more. There are also a number of strip malls and major grocery chain stores. Getting Around: The North End is within walking distance to downtown and center town. 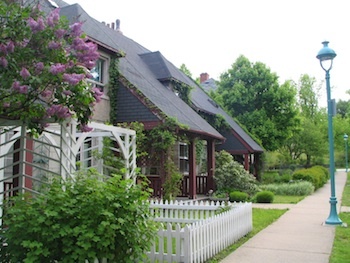 Home Styles: The North End provides a rich variety of homes from modest pre-fab bungalows and 1 ½ storeys built for returning troops after the war, to a number of boxy “Halifax” houses that survived the explosion to smart, affordable apartment condos to, of course, the Hydrostone townhomes. Home Prices: Single family from $ 220,000 to $ 430,000, Hydrostone townhomes range from $ 245,000 to $ 375,000 and condo apartments sell between $ 120,000 and $ 300,000. The North End offers location, a great community atmosphere and is in high demand by young singles and families. New homes (high rise, townhouse and detached infill) are being built and older homes are being renovated.